fluid retention excerpt from Anne Scott Wilson on Vimeo. 'Fluid Retention' started as a video recording of a parking lot adjacent to a train station at peak hour. I was attracted to this site because of it signifies a place of arrivals and departures. I improvised a site responsive drama with dance artist, Stephanie Hutchinson directing her to move as if her back was her front, and the ceiling the floor. Shot during peak hour, I reflect on how passengers, arrivals, departures are metaphors. 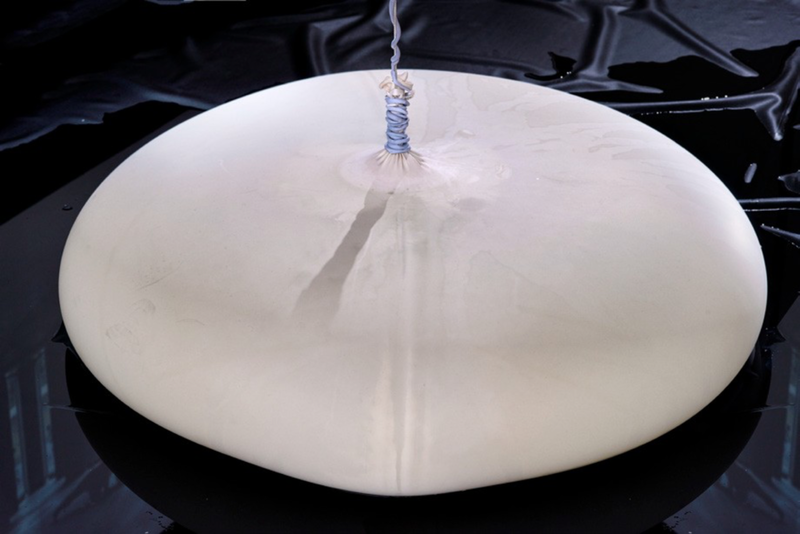 The ephemeral sculpture is a play with gravity, contained and restrained by water and helium in large-scale rubber balloons, and they may burst over time. 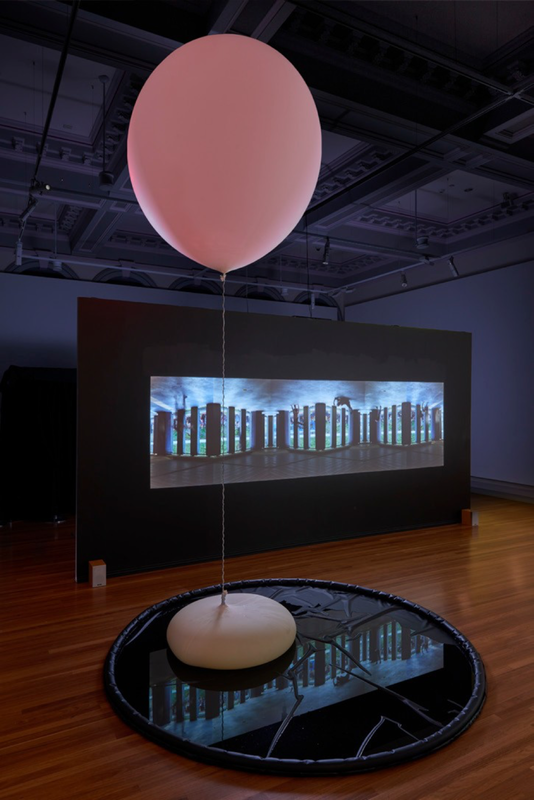 Steph O’Hara from the Letter StringQuartet has composed the music to the video, first performed live at the Abbotsford Convent in 2015 as part of the Video Sonic program.